With the first month of 2019 now over, you will have received your first pay packet of the year. Financial advisor José de Boer knows what you should be looking out for. 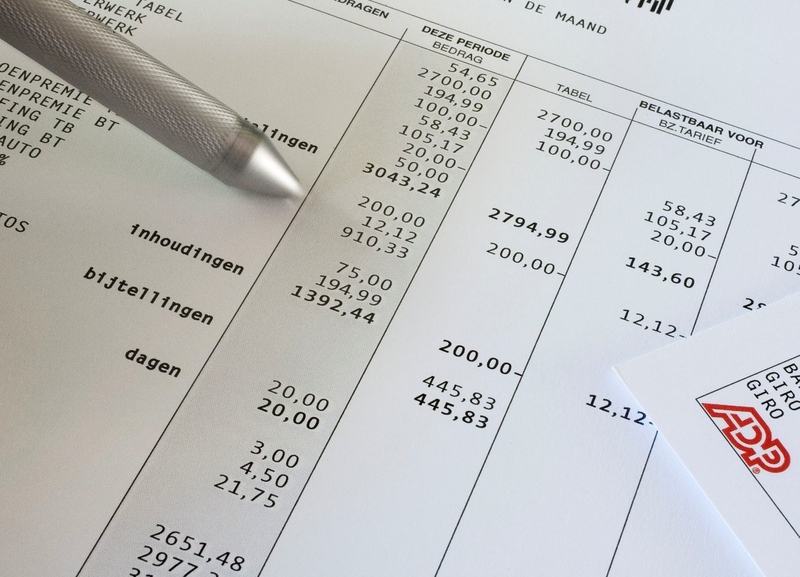 Dutch pay slips are complicated affairs – a sheet of acronyms and percentages that take a great amount of knowledge and concentration to unravel. Research by payroll processing company Raet has shown that 35% of people think their pay slip is too complicated for them to be able to check and a further 18% say they have no idea what is taken off their gross salary to start with. So here is a quick guide to the main changes this year. The boost in take home pay is mainly down to changes to the income tax system, which will have moved from a four to two-tier system by 2021. This year, income tax rate in the second and third tax band (€20,142 to €68,507) has gone down from 40.85% to 38.1%. The tax rate is virtually unchanged in the lowest and highest tax band. These have both gone up this year, meaning you are paying tax on slightly less of your income. Company cars are a nice perk, but that is just how they are treated when it comes to tax! From this year drivers with an electric car have to pay tax of 4% of the catalogue value of their cars up to €50,000 and 22% over the rest. Nothing changes for other company car drivers. Pension premiums and work-related health insurance premiums have also risen this year. What else will affect your monthly income in 2019? Two changes to watch out for later in the year – the government is increasing the tax on holiday pay (paid in June) and the 13th month (usually paid in December). The maximum mortgage tax relief rate will go down from 49.5% to 49% – this only affects people in the highest tax band of over €68,507. Be aware, from 2020 the reduction in the tax deduction will be accelerated and by 2023, the maximum rate will be 37.05%. The maximum income limit for help with paying for regulated childcare will rise from €58,500 to some €75,000, so more people will be entitled to the benefit. Any more good personal finance news to look forward to? The tax free amount of savings and assets in box III will be increased from €30,000 to €30,260 in 2019 and if there are two of you (in other words, if you have a fiscal partner) you can have up to €60,720 in assets tax free. The fictitious yield on these assets on which you will be taxed is also changing. The new tax on assets up to €71,650 has been cut to to 1.935%. However, it will go up to 4.451% on assets above this amount up to €989,736 and to 5.6% on all assets above that. A financial advisor will be able to help you decide if you can do more to limit your tax liabilities. De Boer Financial Consultants has offices in Amsterdam and Wassenaar and is specialised in helping expats manage their mortgages, pensions, investments, regular savings, taxes, insurances and more.